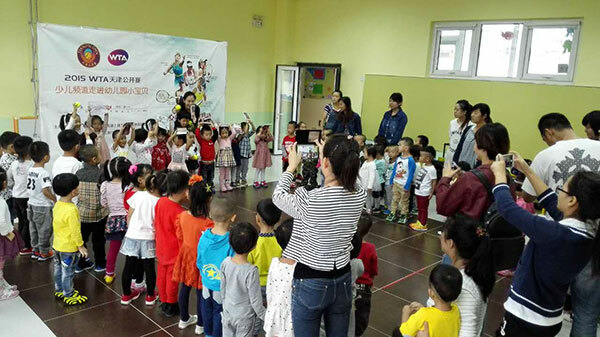 Along with Tianjin Children's Radio Station, WTA Tianjin Open held the first episode of Tennis Baby activity recently at a few Tianjin local kindergartens to teach basic tennis knowledge, and play interactive games with the little kids. 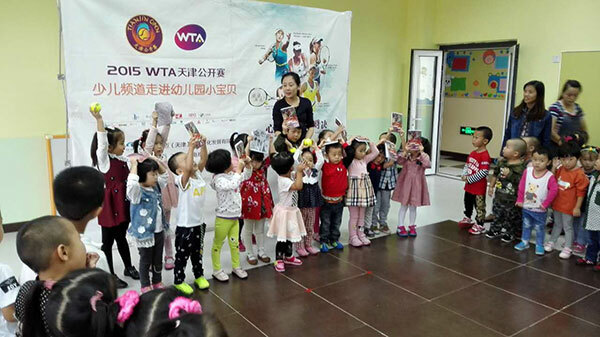 At the same time, Tianjin Open organizing committee also prepared lots of lovely tournament souvenirs such as tournament official tennis ball to distribute to the tennis babies. 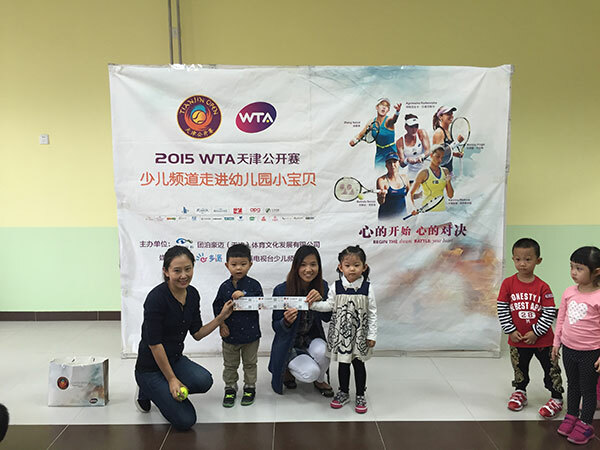 Hope they can grow together with Tianjin Open. 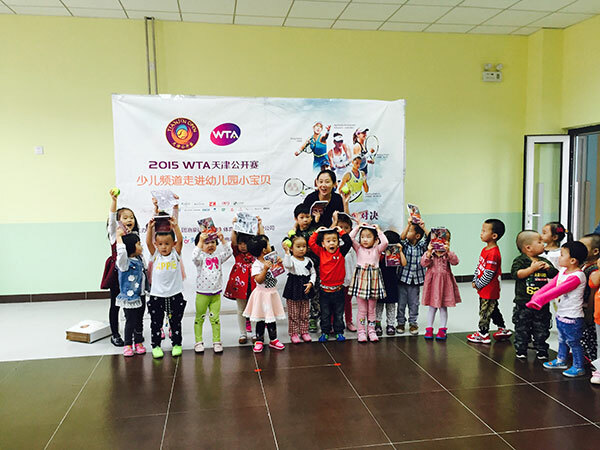 On that day, when the host takes a tennis ball asking what is it in her hand, the little kids bring us surprises. 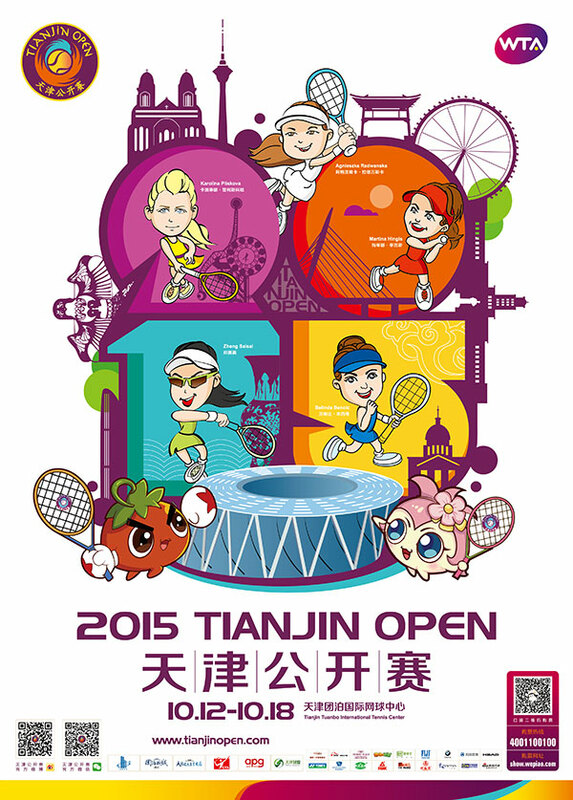 "Tennis! 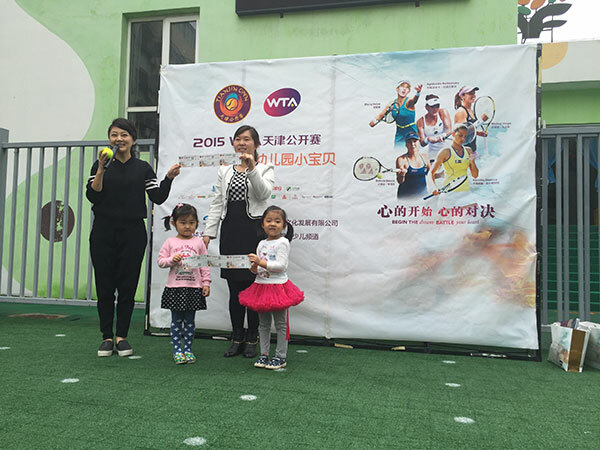 Tennis!" 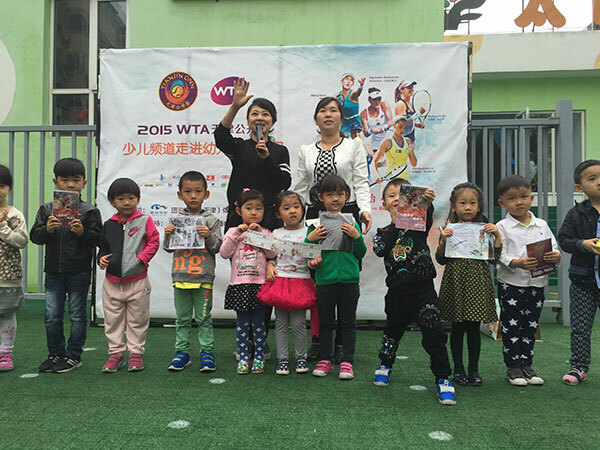 with the most pure smiles, and most tender voices, to shout out their love to tennis. 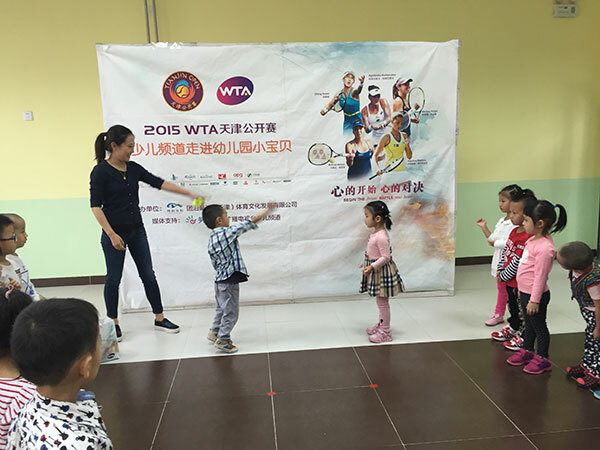 The coach also demonstrates how to play tennis, and invite several kids to play with him. 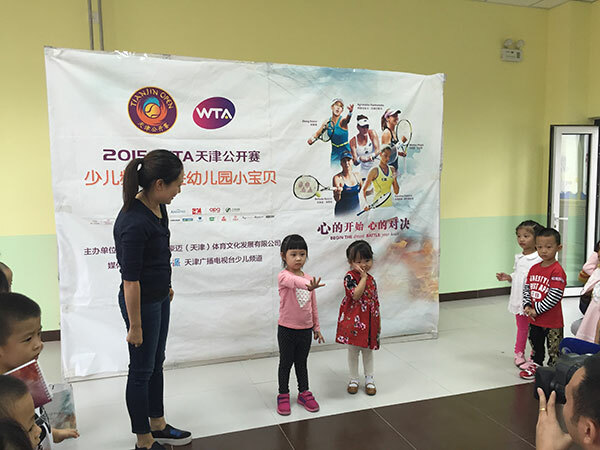 The tennis babies try their best to lift their hands and follow with the coach, then jump and wave their arms. 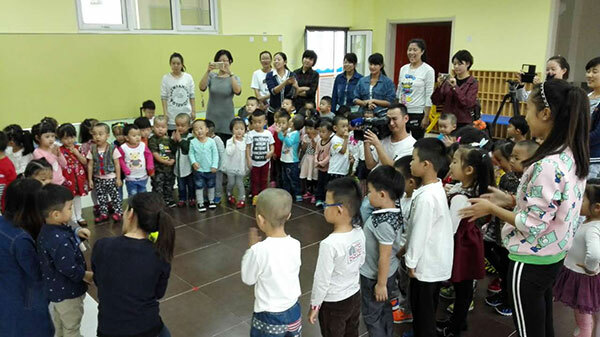 How carefully they are learning! This golden October, corns become bigger; pomegranates as well as apples turn red. 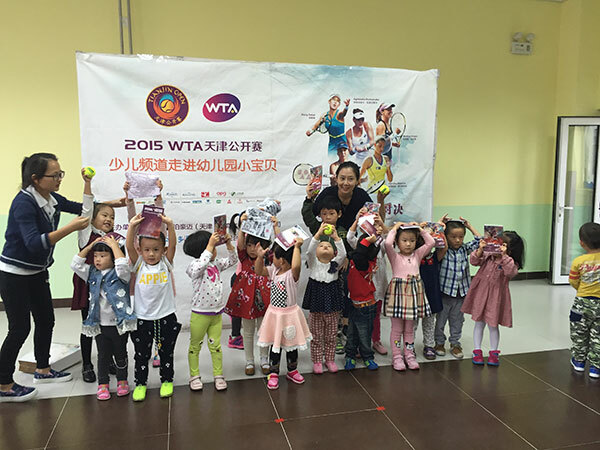 Tennis babies will also grow up with the 2nd grade of Tianjin Open together.